Twenty-four years ago Katharina Haugen went missing. All she left behind was her husband Martin and a mysterious string of numbers scribbled on a piece of paper. Every year on 9 October Chief Inspector William Wisting takes out the files to the case he was never able to solve. Stares at the code he was never able to crack. And visits the husband he was never able to help. But now Martin Haugen is missing too. As Wisting prepares to investigate another missing person's case he's visited by a detective from Oslo. Adrian Stiller is convinced Martin's involved in another disappearance of a young woman and asks Wisting to close the net around Martin. But is Wisting playing cat and mouse with a dangerous killer or a grief-stricken husband who cannot lay the past to rest? The hard-drinking, pensive, lone wolf Nordic detective tiptoes the line between trope and cliche, but Norwegian policeman turned award-winning crime writer Jørn Lier Horst steers clear with his family man William Wisting, who refreshingly has a rather more content and positive outlook on life despite the dark deeds he investigates. A widower who is now a grandfather, Wisting has for many years been hauling out old files every October. A case unclosed, unsolved: the bizarre disappearance of Katharina Haugen, who vanished many years ago, leaving behind only a cryptic note. Predictably, Katharina's husband Martin was a suspect, but he had been working far away, and over the years the bereaved husband had become friendly acquaintances with Wisting. 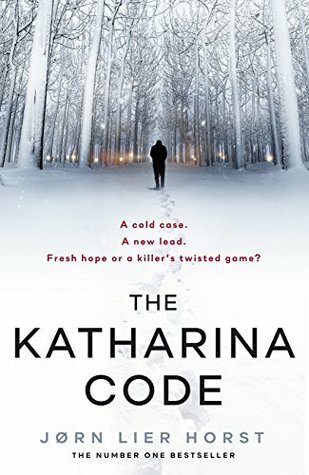 When Martin disappears on the anniversary, and an ambitious younger colleague is parachuted into Wisting's patch with new evidence about another long-missing woman, the Wisting is plunged into a testing case. And a tricky personal position, where he has to keep secrets from those closest to him. The twelfth in Horst's award-winning series (the seventh to be translated into English) adroitly blends personal and police procedural, with a really strong sense of authenticity flowing through its pages. Horst takes us inside the kind of case that can niggle at a long-time detective, the burr under the saddle of their career that they can't let go even as the years pass. For Wisting, that case is the Katharina Haugen disappearance. Why can't he work out what the series of numbers and letters mean on the note left behind. Why can't he make sense of Katharina's actions leading up to her disappearance? What is he missing, what remains hidden or overlooked that could solve the case? There's a wintry chill rising from the pages in what is an absorbing, fascinating tale from a talented storyteller. THE KATHARINA CODE would be a very good read for long-time fans as well as those new to the world of Chief Inspector William Wisting.